Incubating Chicken Eggs Unit contains material specifically designed for students with special learning needs, especially autism. 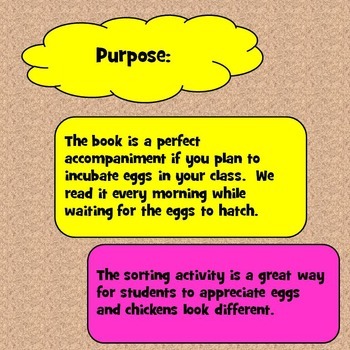 This unit on incubating chicken eggs addresses the timeline of incubating chicken eggs in a simplified but rigorous way for students with diverse learning needs to make meaningful and authentic connections to the material. There are many opportunities for students to engage in repeated information on incubating chicken eggs. 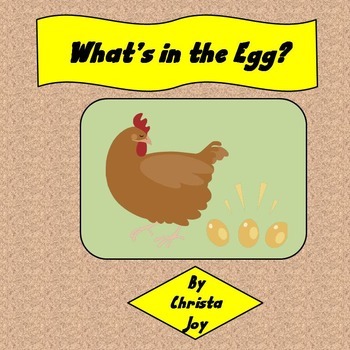 This repetition encourages true understanding of what happens while waiting for chicken eggs to hatch. We read the book each morning while waiting for the eggs to hatch. 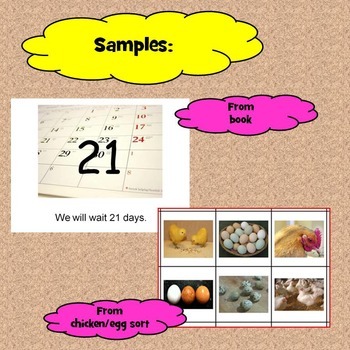 Then one of the students would paste either an egg picture or chick picture on the calendar. That way, we could count the number of days we had been waiting. 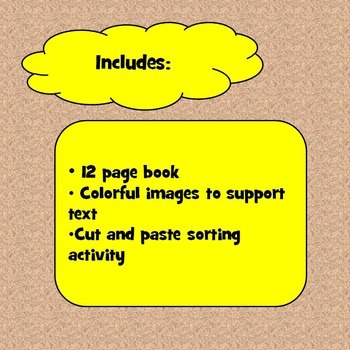 ★★★I have many science units available. Click on the science tab to the left in my store to see more.